Just in time for the start of the new school year, here is a new set of free printable lunch notes for you! 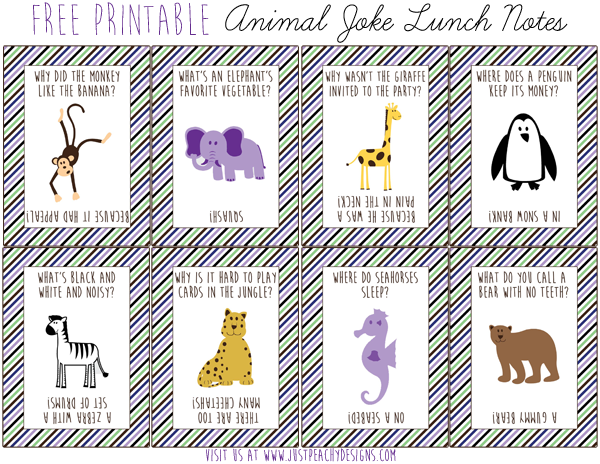 These feature silly animal jokes that will hopefully entertain your kid and their friends at lunch. Just click the above image to download. Enjoy!